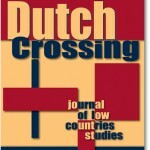 Dutch Crossing, published since 1977, is an interdisciplinary peer-reviewed journal, devoted to all aspects of Low Countries Studies: Dutch language and literature, history and art history of the Low Countries, the social sciences and cultural studies, and Dutch as a foreign language. It also publishes conference papers, research reports, book reviews and occasionally, English translations of Dutch literary works. Coverage includes both the Netherlands and Belgium, as well as other places where Dutch historically had or continues to have an impact, including parts of the Americas, Southern Africa and South-East Asia. A special focus concerns relations between the Low Countries and the English-speaking world in all periods from the Middle Ages to the present day. Dutch Crossing aims to encourage research and intellectual exchange, to disseminate scholarly work by younger as well as established researchers, and to enhance the profile of Low Countries Studies and of Dutch and Flemish culture in the English-speaking world. All articles are in English and blindly peer-reviewed by at least one referee. In 2011 the European Reference Index for the Humanities (ERIH) putDutch Crossing into the highest category INT1. This means that Dutch Crossing is now recognized as an “international publication with high visibility and influence among researchers in the various research domains in different countries, regularly cited all over the world”. In 2009 Dutch Crossing has achieved an honourable mention from the Council of Editors of Learned Journals (CELJ) in the Phoenix Award for Significant Editorial Achievement. Dutch Crossing consists primarily of scholarly articles on Dutch language and literature, history and art history of the Low Countries, the social sciences and cultural studies, and Dutch as a foreign language. We also publish conference papers, research reports, English translations of Dutch literary works, and book reviews. 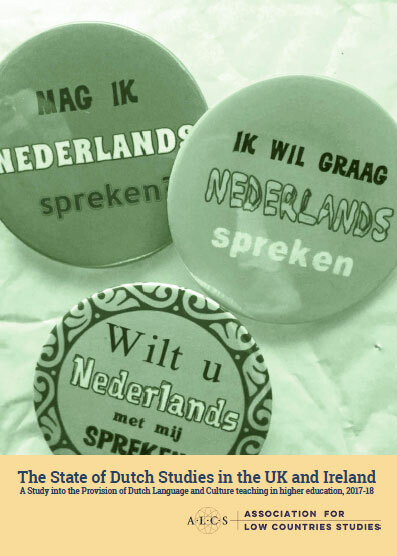 Thematic issues have been produced on such topics as Anglo-Dutch relations in the 17th Century; Williamite Scotland and the Dutch Republic; contemporary Dutch women writers; Frisian culture; Landscape Painting; Literary Translation and Medieval Drama. The publisher of Dutch Crossing, Taylor and Francis, has two Open Access routes: Gold (immediate) and Green (delayed). Further information is available on T&F’s website. 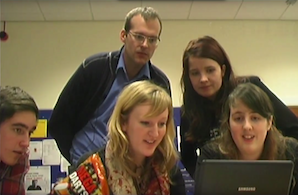 The Gold OA route is for authors wishing to pay to make their articles immediately available in Open Access. The Green OA route, often referred to as self-archiving, enables authors to comply with their funder mandates even when there are no publication funds to support Gold (immediate) OA. Authors may deposit a copy of their manuscript in an institutional repository as long as it complies with the embargo period for each journal (currently 24 months for Dutch Crossing and our other Humanities journals). For author guidelines and online submission of articles, please go to the journal’s author submission web pages. For information on membership rates and becoming a member, please go to our membership page. New institutional subscribers please contact Taylor & Francis directly by clicking here.